The Racers Group, one of North America’s winningest sportscar racing teams, has a big weekend ahead as the team returns to the scenic coastline and rolling hills of the Monterey Peninsula with an ultra-strong two Aston Martin GT4 line-up as the famed Laguna Seca circuit plays host to the inaugural Intercontinental GT Challenge California 8 Hours race October 14-15. TRG has a proud history here — it’s where the team first began to race professionally and has since garnered many wins across multiple series at the track, starting off in the early days of PCA, to early IMSA and Grand Am, Daytona Prototypes, the factory GTO program and to modern day GT and GS. TRG was victorious in back-to-back GT races in 2011 and 2012 for the six-hour season finales. The Laguna Seca 2.2 mile circuit is one of the classic tracks in sportscar (and open wheel) racing, and a definite fan-favorite. It’s been a Monterey area landmark since the late 1950s when it was built on the Fort Ord military installation, flowing with the area’s natural landscape, accentuated by The Corkscrew, the famous twisty seven-story drop at turn 8. And the California 8 Hours race will be the longest professional race ever contested at this iconic track. 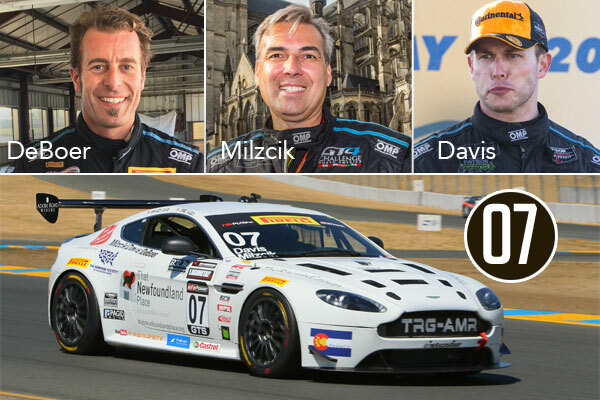 TRG is “in it to win it” in this last race weekend of the season with two incredibly tenacious and talented driving teams gridding up for the 8-hour race, which welcomes racing teams and drivers from around the world to California’s Central Coast. Craig Lyons, Kris Wilson and Thomas Merrill will share driving duties in the No. 3 TRG Stor-it | Mobettah | Wells Fargo Aston Martin GT4. Lyons and Wilson return to Laguna Seca just three weeks after putting together a relentless drive in Continental Tire SportsCar Challenge action at the track. 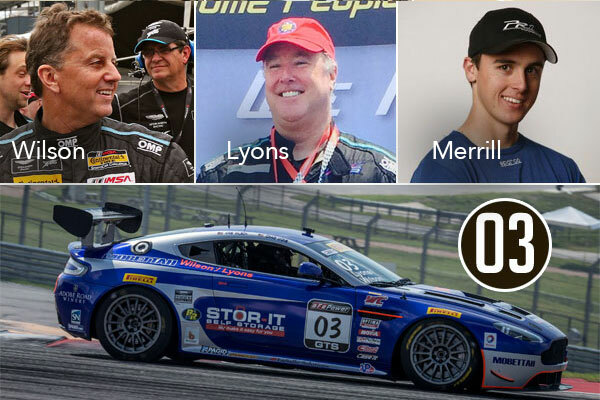 Merrill rounds out the team with expert endurance racing credentials, having contested the Rolex 24 Hours of Daytona twice with strong results. The experienced team of Greg Milzcik, Derek DeBoer and Brandon Davis will go for the win in the No. 07 TRG Castrol | AutoLeadStar | BRM | Wolfwood Refuge | Newfoundland Place Aston Martin GT4. Milzcik and Davis teamed up (with Davis securing pole) three weeks ago in the IMSA Continental Tire Mazda Raceway 240. DeBoer, who has not finished off the podium this season with three wins, two second place finishes and two third places rounds out the team. 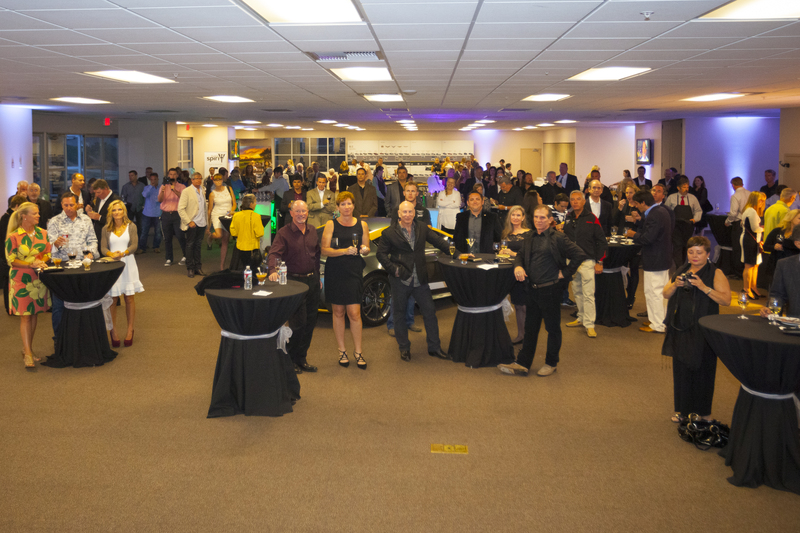 Intercontinental GT Challenge California 8 Hours race weekend gets under way in style Friday night (October 13) with an exclusive VIP party hosted by TRG along with WC Vision at the Hospitality Pavilion overlooking Laguna Seca’s turn 2, entertaining series executives, team principals, drivers, sponsors and more with the opportunity to connect over Adobe Road Winery wine and locally-sourced appetizers. Petaluma businesses will also be highlighted as Lagunitas Beer and Sonoma Spirits lemon drop and pomegranate martinis will be available for guests. And, TRG is expert in creating B2B, relationship cultivation and corporate entertainment opportunities as key components of race weekends, and this weekend’s activities at Laguna Seca are no exception as executives, partners and other invited guests will enjoy the team’s special brand of hospitality in the paddock and beyond. 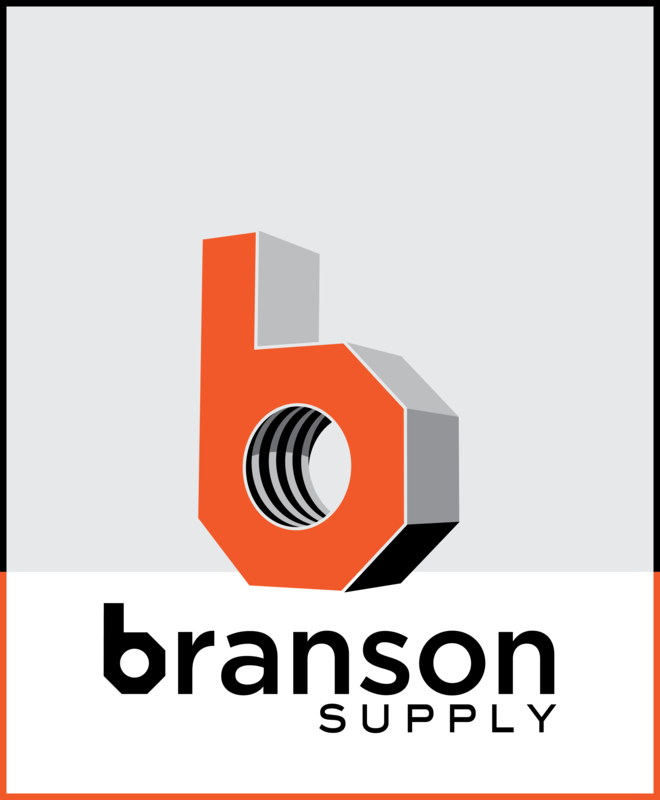 California 8 Hours, October 15, 12:00 p.m. – 2 p.m.; 6:00 p.m. – 7:30 p.m.